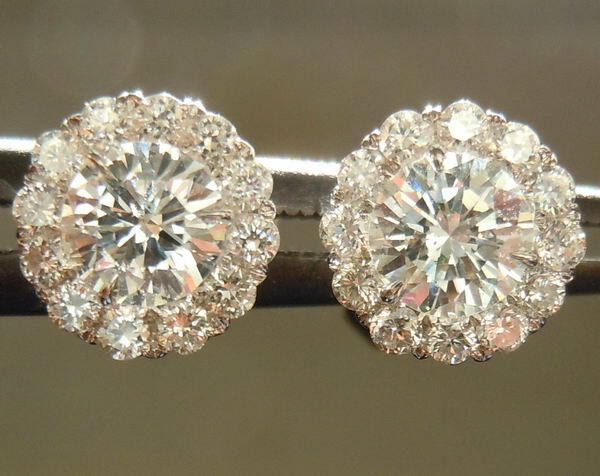 This is such a lovely pair of halo diamond earrings. The cut on every single stone is wonderful giving you stones just full of sparkle. 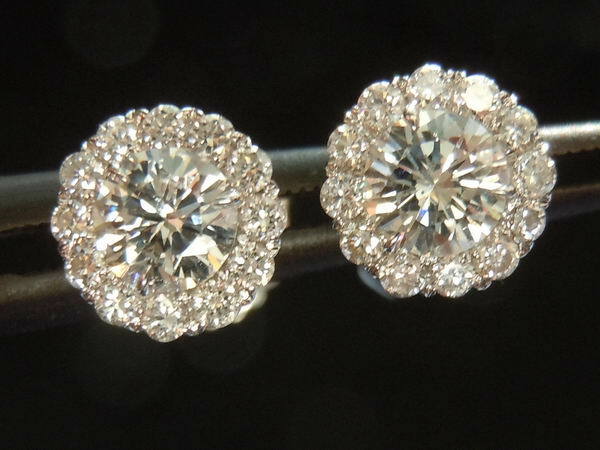 The halos frame the center stones wonderfully, helping to give the illusion of much larger stones. The earrings are just elegant and feminine in look and feel. You can see the quality of the workmanship in these close up photos. We don't scrimp when it comes to making earrings. The posts are sturdy and the backings are a nice size, keeping your earrings secure on your ear. If you like the earrings in these photos, you will love them in person! 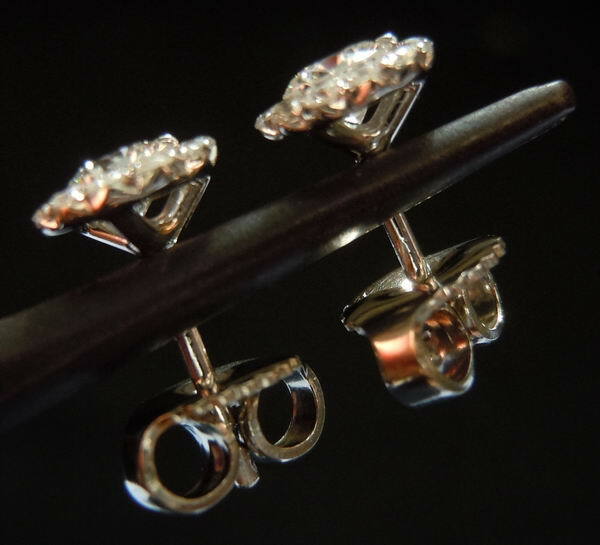 The photos and video above are of the exact pair of earrings you will recieve.